Jeronimos Monastery is a UNESCO World Heritage Site in Lisbon and a perfect example of the Manueline style of architecture. 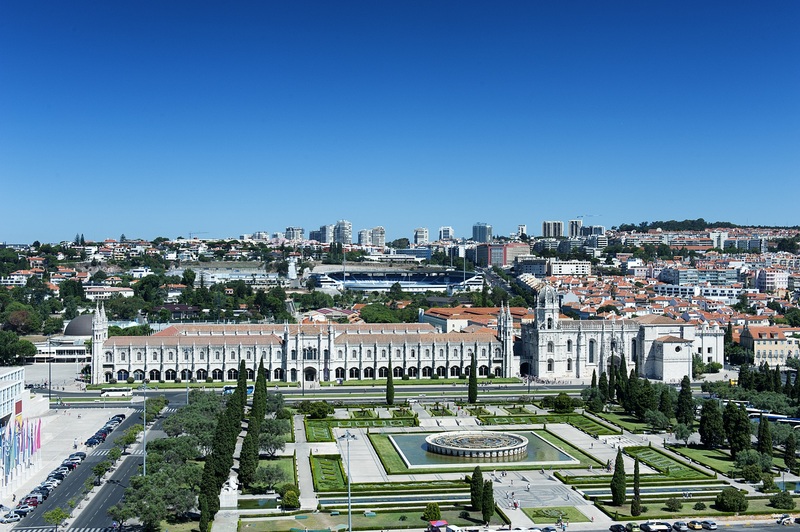 It is considered to be a masterpiece concerning Portuguese architecture and an invitation to the Age of Discovery. 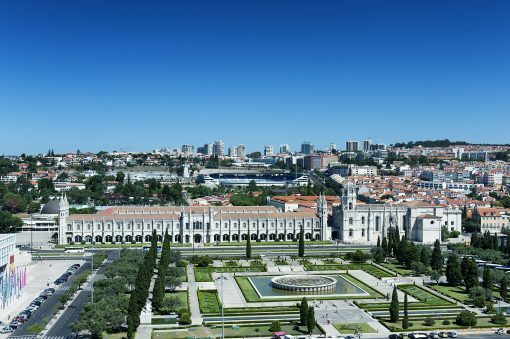 Jeronimos was the brainchild of King Manuel I who wanted to build a monument to celebrate the successful Portuguese voyages around the world and construction of this beautiful monastery began in 1501. 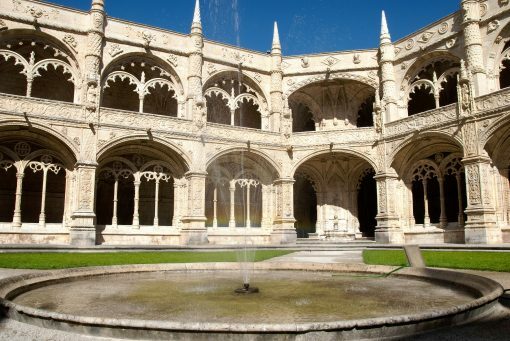 Funded by various explorations and stringent taxes, construction ended in 1600, and the structure was donated to the Jeronimos monks. 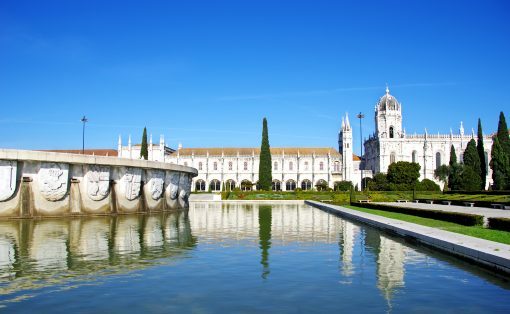 Thus the building became a place of tranquility where the monks would say their prayers for the success of the sailors who were at sea. 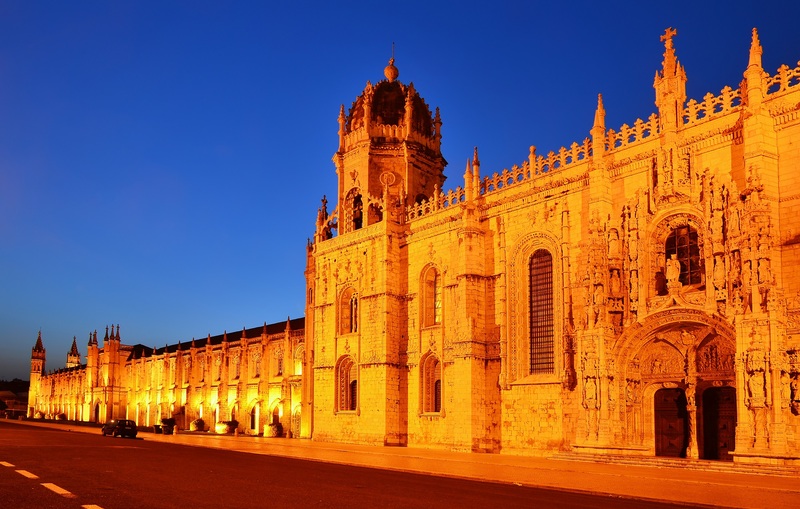 Colorful and ornate, the Monastery is stunningly beautiful, and once you view it in person, you will understand why it took 100 years to build this magnificent structure. Tourists spend an entire day here just marveling at the beautiful architecture with their cameras, and again, it’s easy to see why. 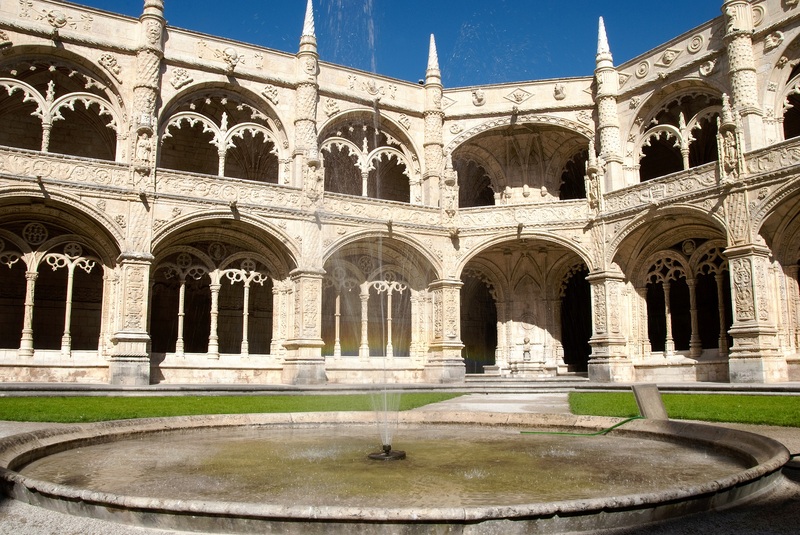 Archways surrounding the inner courtyard are the main attraction as they appear like a scene from a fairy tale and while there are many monasteries across the world which have quite a plain and unadorned appearance, the Jeronimos Monastery is an entirely different experience. Twisting their way throughout the monastery, the many columns and lace-like arches are a sublime example of Manueline architecture, but overall this beautiful masterpiece is another fine example of the most beautiful structures throughout the entire Portuguese capital.